Nest Cam vs Ring Stick Up Cam: Battle of the Top Outdoor Cameras! Nest Cam vs Ring Stick Up Cam: Putting the Top Outdoor Security Cameras to the Test! Smart cameras and new ways to monitor your home are becoming more and more prevalent, and two of the best smart cameras are the Nest Cam Outdoor and Ring Stick Up. 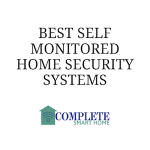 Both of these products offer many of the same features, like night vision capabilities, direct link to your smartphone, as well as a number of other features that allow you to see what is going on inside or outside your home. The Nest Cam has an outdoor and indoor version, and both rated high in performance and extra features you might want depending on how you plan to use your cam. The Ring Stick Up Cam is designed to be put up on the exterior of your home, but can also be used inside if you preferred. For the purposes of this review, we will focus on the Outdoor version of the Nest Cam vs Ring Stick Up. The price for the camera and mounting hardware for the Nest Cam Outdoor is $189.99 and the Ring Stick Up is . While you get a lot of cool features that don’t require a monthly or yearly charge, both the Nest Cam vs Ring Stick Up Cam have plans that allow for storage and warranty options, as well as video review. “Nest Aware” begins at $100 per year, while Ring has a cheaper monthly plan that costs just $3 per month. The Nest Cam Outdoor has a 1080p video, while Ring Stick Up Cam on has 720p video. While both of these are technically HD, you will see noticeably clearer picture with the Nest Cam. Night vision works much better on Nest Cam as well. The Ring Stick Up Cam only records when it senses motion, whereas the Nest Cam records continuously. While the night vision quality is better with the Nest Cam Outdoor, the Ring Stick Up does offer flood-light pairing that will turn on when motion is detected. The Nest is far and away the winner when it comes to hardware (ie – the tools and material needed to mount the cameras). While the Nest Cam does require connection to an electrical outlet, which is probably it’s biggest drawback, the magnet mounting base is very easy to install and your camera can be set up in a few minutes. The Ring Stick Up Cam is a little more complicated to install, but doesn’t have a required electrical connection so you don’t see all the wires. 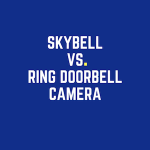 The Ring Stick Up Cam is battery operated, with batteries that need to be replaced every 6-12 months, depending on how often the camera is triggered. There is also a solar-powered option with the Ring Stick Up Cam. 2.8 in. x 2.8 in. x 3.5 in. The Nest Cam ranks higher in features when compared to the Ring Stick Up Cam. Their “Sightline” feature that you get with Nest Aware allows you to quickly target movement, and their software allows you to differentiate between people and moving objects. Ring Stick Up Cam turns on when it captures any motion, so it’s easy to sift through any relevant video. One drawback with the Ring Stick Up Cam is that the nightvision is lacking, but there is a flood-light pairing that works pretty well. While the Nest doesn’t have any backup capabilities if it loses power, it offers better features and camera quality and is our preferred outdoor camera for home protection. The Ring Stick Up Cam has a lot of features we like, and if you decide to go with Ring, you should pay the $49 for the solar panel. The Ring also doesn’t have the drawback of needing an electrical outlet. However, the fact that the nightvision is so poor on the Ring defeats a big component of safely monitoring your home. The Nest has a better looking camera, and it records higher quality video. Everything in the app is easy to use and easy to pair with other Nest products. We also like the zoom capabilities and the wider view that the Nest Cam has to offer. 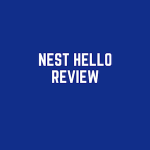 Both the Nest Cam Outdoor and Ring Stick Up Cam are great products and are always improving on their existing technology, but we prefer Nest Cam when it comes to the best home security camera on the market.